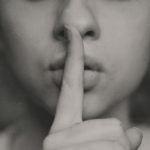 With so many box fans on the market, it’s hard to know which one’s right for you.Below, you’ll find our top 5 box fan recommendations. Based on a variety of factors – the most important of which we’ve outlined below. Each of our recommendations below are easy to use, made by trusted brands, and are great value for money. If you’re allergenic, be sure to also check out this amazing box fan filter by PollenTec, listed on Amazon here. With sizes for every box fan, these filters are a really effective solution to preventing pollen, dust, mold spores and pet dander. The selling point of this fan is the weather-resistant motor shield and metal exterior. 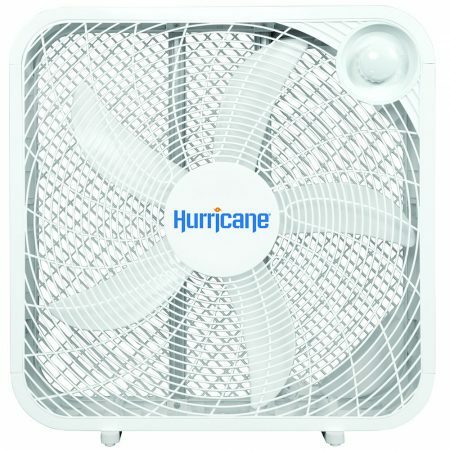 It’s a unique design from Hurricane, which makes this the best box fan for windows. There’s a nice side effect, too. The extra weight from the motor shield and thick sides means there’s some added weight. A total item weight of 9lbs, to be exact. This goes a long way to prevent shaking or rattling when at high speeds. It’s rare for small appliances like these to have stand-out qualities, but the unique weather-shield on the motor of this fan is one of those rarities. As well as making it the best box fan for window use, Hurricane have also been on point in the other important box fan aspects. The build quality, quietness, and easy to use controls are all solid. Your personal powerhouse - small and easy to place anywhere. 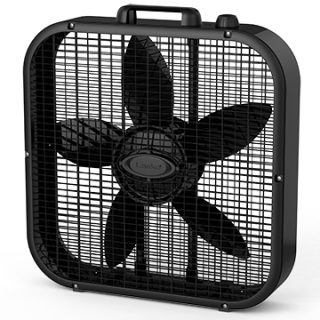 If you’re looking for a personal-sized box fan, this holmes model is one of the best on the market. At 11 inches high and 10 inches wide, it’s small enough to snugly fit inside any window to aid in ventilation. 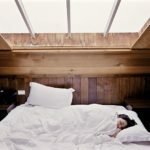 Or even in your suitcase if you’re worried about extra-hot hotel rooms while you travel. While it’s not going to give you a tornado to work with, it does pump out a respectable amount of airflow for such a little fan. It’s not completely quiet while doing so (lightweight fans are more liable to shaking), but it’s a level of white noise that’s easy to get used to. Sometimes, a strategically placed small fan can be magnitudes more effective than a larger model, which can’t fit anywhere near you. 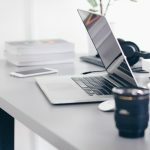 Well-suited to tasks like venting out small spaces, quietly cooling you and your laptop at a desk, or even joining you on a travel trip – these personal fans are great value purchases that can really make a difference. One of the only good box fans that isn't a shade of white. 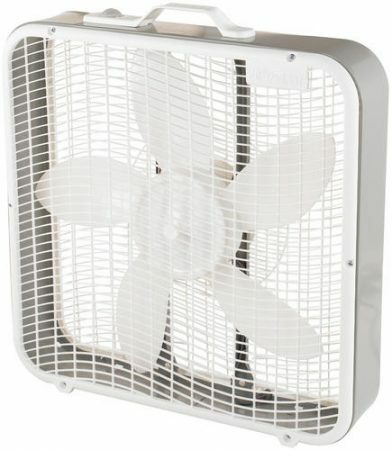 For some reason, a good quality box fan in any color other than white is quite hard to find. So while we wouldn’t rate this Lasko fan over the one at the top of this list, it still makes our top 5 almost on color alone. Looks aside, it’s got a good bit of weight to it (9.5lbs) for extra stability, and an easy-carry handle to help you move it around. The material quality of the metal exterior is solid – and leagues ahead of cheaper plastic models. While the Lasko #3720 narrowly beats this model on airspeed and quietness, this is still a great and stylish looking all-rounder. 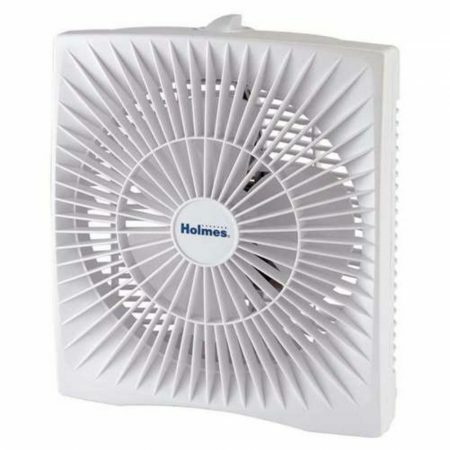 A top product if you’ve got a darker or dirtier space that needs a quality fan for cooling/ventilation (anywhere that you’d want to keep a white product a mile away from). Or maybe if you’re keen on the color. Boasting durable build quality and an easy-carry handle, but not quite matching the Lasko #3720 on quietness or air power, this is a great in-between model which still functions very efficiently (and looks good while doing so). Super light and quiet, but not too powerful. You could say that this box fan is ‘low’ on everything. Which can be a bad and good thing. It’s low on power usage, weight, and noise – which are all great. But it’s also a bit lower on the airflow that it produces. So while it’s one of the quietest and most cost-efficient box fans on the market, it’s also one of the least powerful. But that’s not always a bad thing. If a bit of quiet extra airflow is what you’re after, this fan is ideal. Just don’t expect it to put up too much competition to strong summer heat! Certain products are appropriate for certain tasks – and this is no truer than in this case. The light balance between a quiet yet no-so-powerful fan means that this could be a great box fan for laptop cooling without making much noise, or keeping you cool while you watch TV. If you’re after something more powerful, like a fan for venting dusty rooms, we’d recommend the Lasko #3720 instead. 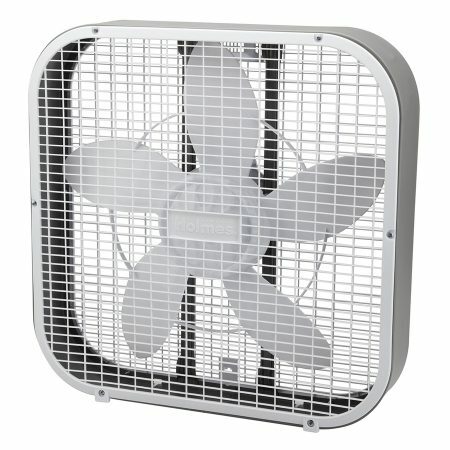 Amazon's #1 bestselling box fan at the time of writing. But we don't quite agree..
That fan above is (at the time of writing this) the best selling box fan on Amazon.com. This is mostly due to the great value for money it offers. There’s not too much difference between products like these, and so maintaining that level of quality while offering a lower price tends to result in high sales (see the live price via our link below). However, it only just makes our top list. While cheap, it’s light weight indicates that it’s prone a little rattling/shaking high speeds. It’s still a great box fan if you’re looking so save a few bucks, don’t get us wrong, but we think paying a little extra for the quality you know you’ll be happy with is worth the extra cash. Typically, Amazon’s #1 bestseller can speak volumes for a product, which is still quite true for this fan. But it has been a little bit more based on low price rather than an outstanding product. A great fan if you’re looking for a cheap air circulation solution, but we can’t recommend it for being top on quality or durability. Still stuck on what fan to buy? Take a moment and think about what uses you want the fan for. Compare those uses with this quick list below, and identify which aspects will be important. Knowing these makes it much easier to select the best model for your personal needs. Air Flow – will you want the fan to cool a whole room or just a specific location? A small yet strategically placed fan can sometimes be better than a larger one. 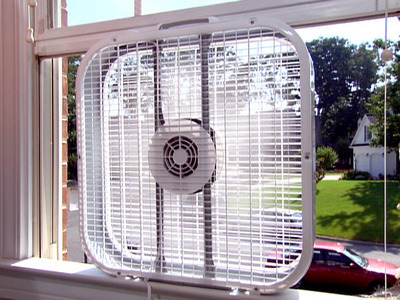 Variability – are you going to have multiple uses for the fan? Newer models have more speed settings available, making them great for everything from quiet constant cooling to powerful floor drying. 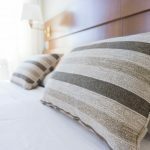 Noise Levels – will you be wanting to sleep or watch TV while the fan is on? Keep in mind that heavier box fans are often quieter (less prone to shaking). Manoeuvrability – lighter fans are easier to move around, and some models have top-mounted handles to improve handling. Build Quality – in simple terms, will you need a metal exterior? Are you going to be hauling it around a workshop all day? 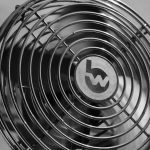 Energy Efficiency – these fans cost pennies in comparison to running an air conditioner, but running an inefficient fan all night long can start to really add up. Reliability – known brands and longer warranties can mean a lot. While most fans only have a year warranty, check the listing to see if your model has more. It’s often a great sign of quality. Design – lastly, think about your color scheme! We can’t be having your feng shui ruined by a off-colored fan. Try to find a model that will benefit your space, not just be an eyesore. While most of these fans look similar, these are the aspects that tend to vary between each one. Keep these in mind as you look through the recommendations! 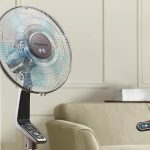 When it comes to products like these box fans, it’s hard to know you’re choosing the right one. Especially when they’re all so similar. We hope this guide has helped shed some light on some of the best models on the market (and why they’re the best). If none of the above has caught your eye, checking out Amazon’s bestseller list can also be a great place for inspiration. Looking for other ways to help keep cool in the heat? Check out the related posts below for more ideas.